Worldwide release of the new single "The Border" on all media platforms! Listen on Spotify, Soundcloud etc right now! Tune in to iTunes, Napster, Tidal, Amazon etc. Working in the studio on an album with hard rocking songs together with a fantastic producer, for release hopefully 2019. Very excited! Follow me on Spotify to get the latest releases! It's out there, available for digital download in stores worldwide and streaming on Spotify,Tidal, iTunes etc! ​Click the button below for more info! 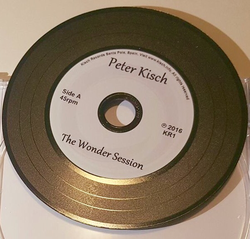 The Wonder Session CD! 14 soulful songs! ​Click on it to get your copy!